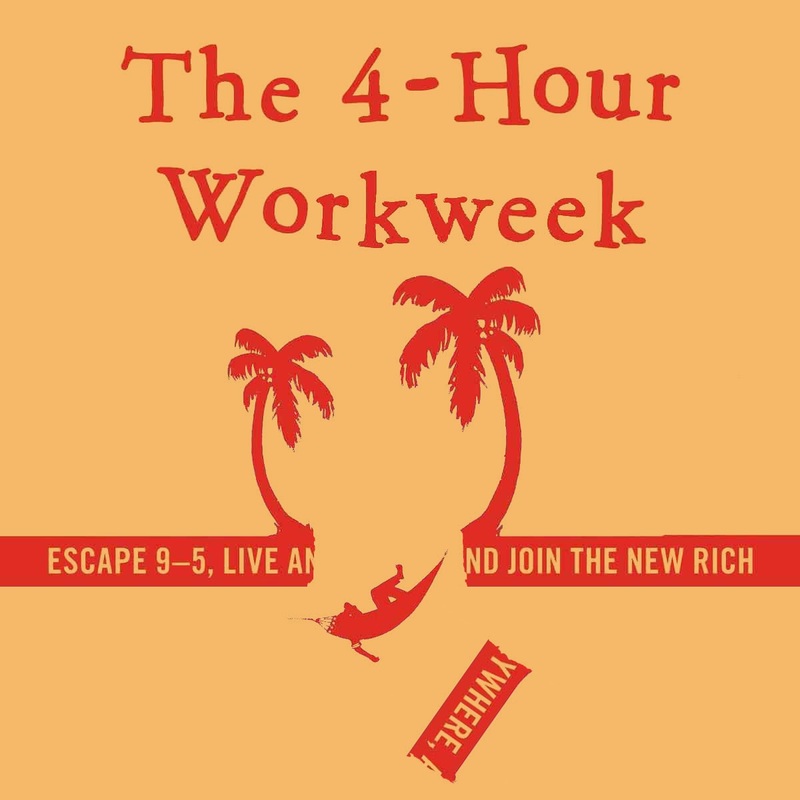 First things first, let me make it clear - not only I love "The 4-Hour Workweek" (4HWW), I also follow closely Tim Ferriss's projects from the very moment I read it in 2009. That said, I think it would be fun to look back critically at it. At least for the sake of not letting gurus think for us. Cause the Bibles of the world aren't free from glitches, are they. Forget about the marketing of the book, which was gigantic and unconventional. The refreshing, straightforward language and detail-oriented content guaranteed the book would stand out. So much that I honestly think his later books, despite what the very Author claims, are barely footnotes to this first one. I find it imperfect anyway. It's partly because of personal preferences. But then some of my reservations are based on more universal grounds. And this is where things become a bit grimmer. I was never into record-breaking. I find rivalry somewhat sad. Competition turns easily into fetish, an unhealthy obsession to win. It's either hurtful or boring. In 4HWW we are under fire of record lists. From infamous Ferriss's tango spins or kick boxing trophy to all the "success stories", it all is served to prove the point. Next thing you see is an invitation to the heat of hyperactivity & the heat of achievements. How about faster? How about better and more? But wait, weren't we suppose to fight with over-stimulation here? It's interesting to examine what in 4HWW is assumed as good without question. For one, it's free time. Second place take money, and third - achievements. In short: Me! Me! Me! The spirit of the book is a bit antisocial, isn't it. Free yourself from this, free yourself from that. But, like, what about the others? Try to think about it this way: would you like to bump into one of the New Rich? Would you like to do business with them? Would you like to use their services? With all these automatic responses and cutting off clients agenda? Exactly. Why "The New Rich" in the first place? As unfortunate as it gets, this is actually what in Eastern Europe we call those who have got rich quickly, and didn't have time to adjust their culture to their money. Employing local fishermen in Panama or personal guide in Argentina, aren't The New Rich unscrupulous abusers of cheap workforce, cheap services, cheap countries? As much as this book is different from the American Way, it couldn't escape certain exaltation. Frankly, the book aspires to change lives. But does it always have to go together with this amount of PR? At the same time disclaimers of all sorts are as many as they are tiny. Success stories, I get it. What about failure stories? There's nothing more natural in this book as corporate words and phrases. Here's market selection, there's product brainstorm, micro testing, automation, units shipped per week, etc. 4HWW is a product of the capitalist society to the capitalist society. Capitalist by default. Uncritical and bluntly ignorant, I'm afraid. It's cool to take advantage of the modern world. But why without thinking about the side effects? It's not only producers-consumers pivot that matters. Have you seen "The Lion King"? Oh, your PA from India did. Manipulate your employer! Manipulate your client! Well, it's not for the first time that The New York Times bestseller list hosts a guide for douchebags. The risk of becoming guru for the petty-minded, self-obsessed ignorants is high. These books attract people convinced that they're special and deserve more. I didn't realize I will say it when I was starting writing this post, but now it seems so clear. In giving answer to the pathologies of global capitalism (home of busy and ineffective, distracted minds, enslaved with dull, full time jobs) Ferriss gives answers that are settled comfortably in the same capitalistic world view. Effective product marketing tips? Here you go! Cheap flights? Brilliant! Assistants from India? You can't go wrong with them! These are Questions and Actions in the making. It's like saying: conquer capitalism with capitalism. In a way - fair enough.